Facts and figures mean nothing to you. After sitting through a four-hour baseball game, the box score is a yawn. All you can think about is that rumor you heard on postgame radio  the home team's closer got into a scuffle with his father-in-law in the parking lot. 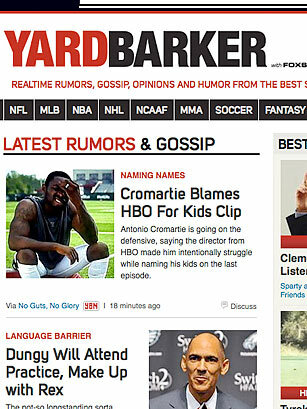 In partnership with FoxSports.com, Yardbarker keeps a close eye on all the yelps within the morning sports headlines. For those into viral trends, follow Yardbarker's "Hot 40," a list of sports figures doing something right (or wrong) to make their way into the public eye.